A. Handstand Walk: Spend 15 minutes practicing HS walk progressions. All rounds and reps are team totals. 1 partner working at a time and teams may partition the rounds and reps any way except 1 one partner may complete the entire Farmer’s carry each round. Post rounds and reps completed. 50m = 1 rep. Ex: 5+31 Rx. A. 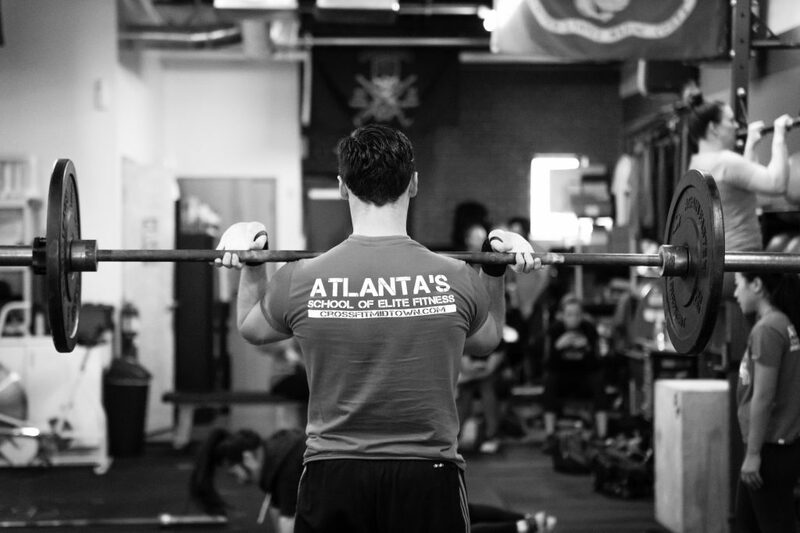 Back Squat: 3 sets of 5 reps. Worksets at the same weight. Rest 3 minutes between sets. Max reps on the 3rd set. 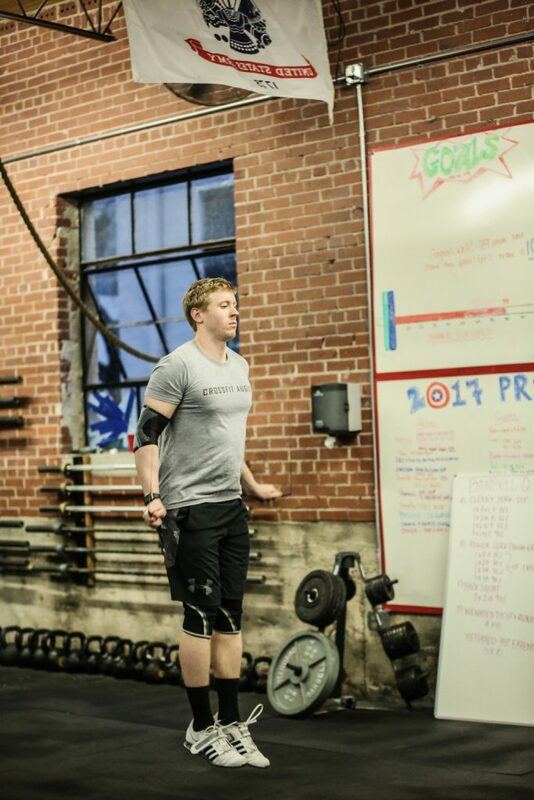 Scale Double Unders to 35 DU+singles 1:2 (ie half the reps), Speed Step 1:1, Singles 1:1. 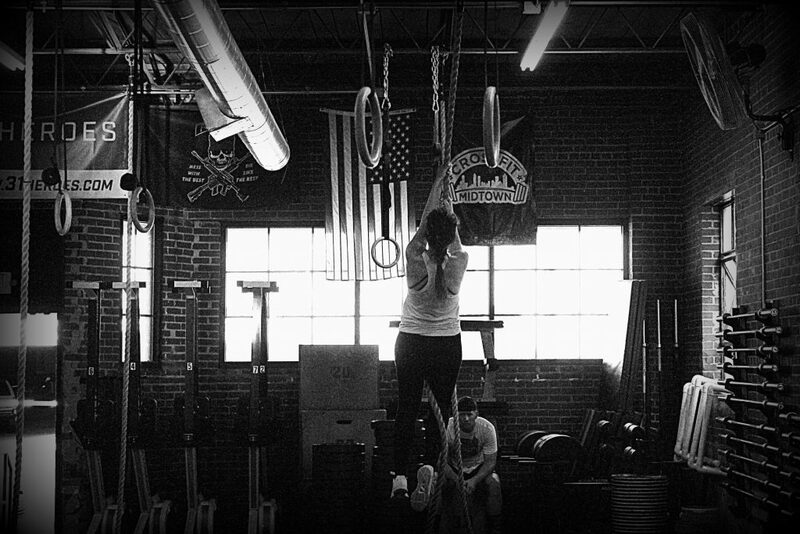 L+ = 55 Wallball reps.
For the WOD pick a skill and level that you can go unbroken for the jump rope and Wallballs. 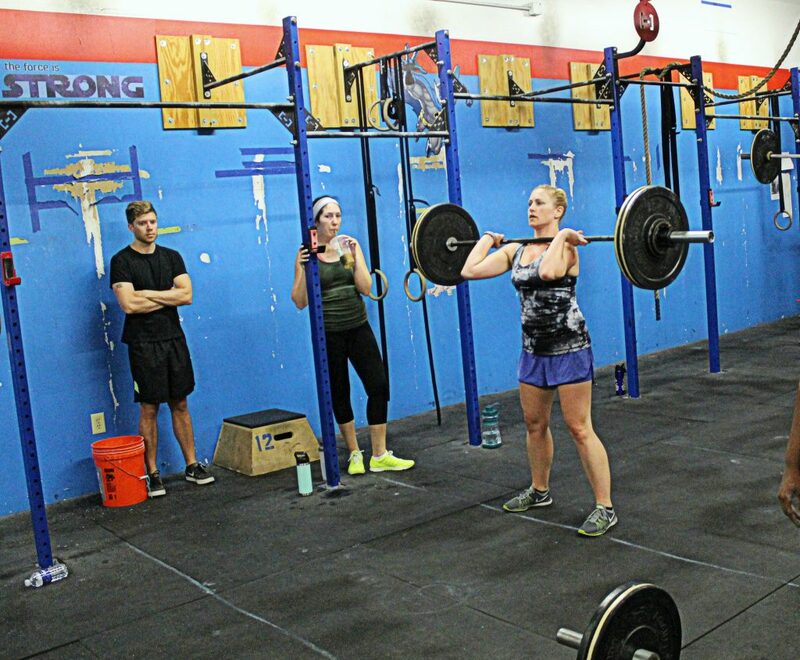 For athletes between levels on the Wallball, consider doing the lower level at L+. Ex: L1+ men = 55 wallballl reps at 10# to 9ft. Post load and reps for Back Squat and time for WOD. Ex: 305#, 7 reps, 4:49 L3+. 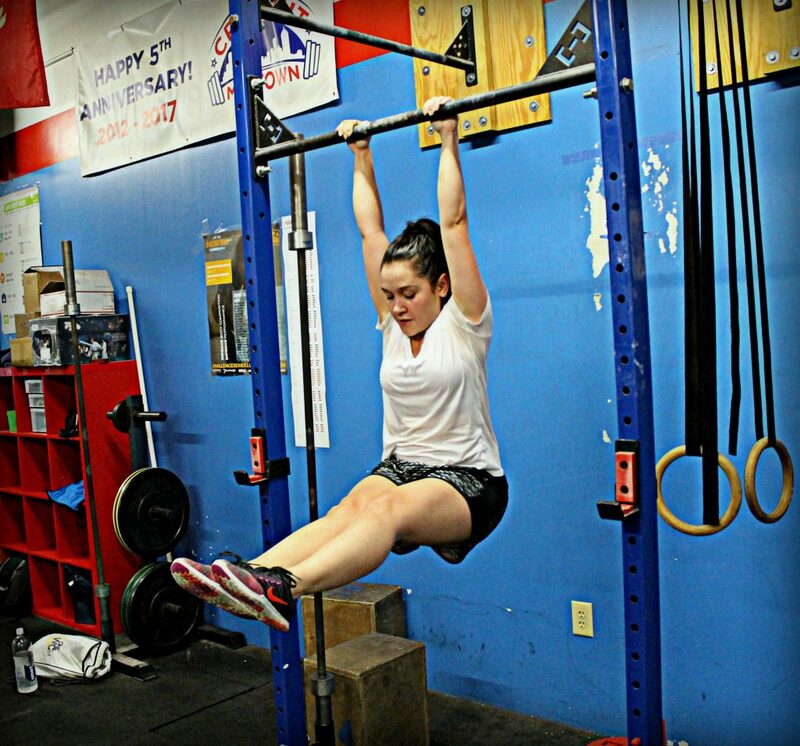 Camille holding an L-sit position on the pullup bar. A. 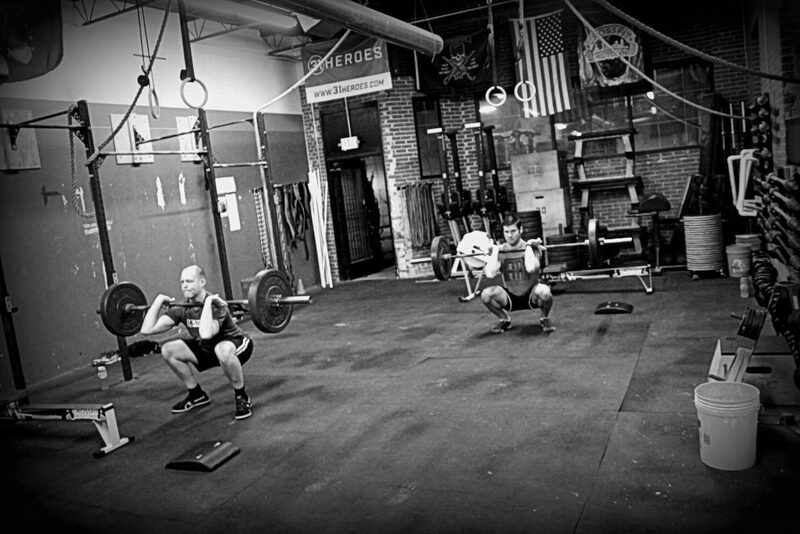 Seated Power Box Jumps: 5 sets of 3 reps. Worksets at the same height. Complete 1 set every 3 minutes. Post height of box jumps and time to finish the WOD. If time capped post rounds and reps completed. 1 second = 1 rep on support hold. Every 10m = 1 rep on the row. 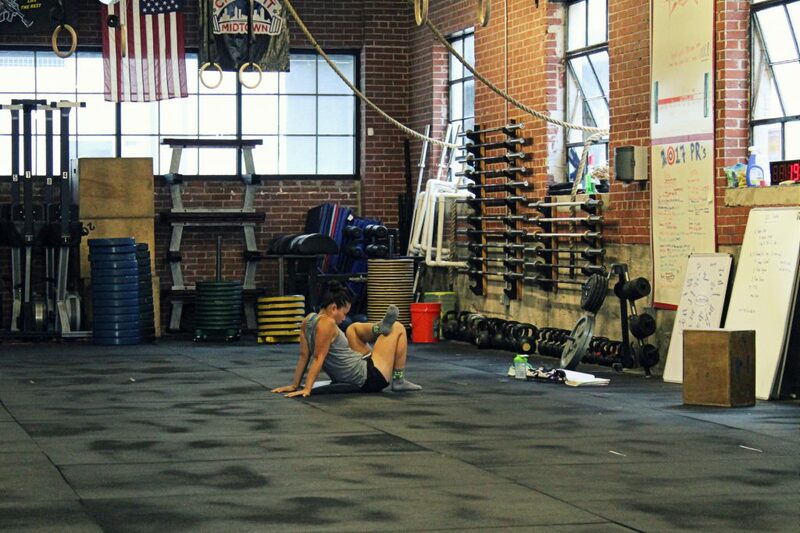 Post rounds and reps completed for WOD. Ex: 1+82 L3. Post load for press and time for WOD. Ex: 165#, 5:22.